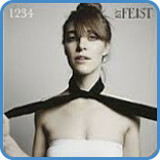 ‘1234’ is a single from Feist which came to fame through an early iPod ad. This arrangement uses a drop D tuning. Because of this, chords played from string six must be fretted differently. 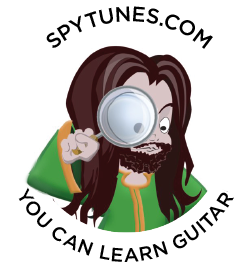 The video lesson is a simple arrangement of how this song could be played on just one guitar. 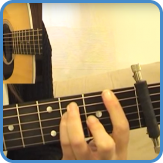 If you want to learn more about arranging using open tunings, take the intermediate course. 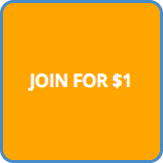 Take the intermediate guitar course and you’ll get complete TAB for how it’s played in the video lessons. ‘1234’ is played in drop D tuning, this means that you lower the 6th string from an E to a D. Because of this, all chord shapes using this string will have to be modified. G chord verse/bridge – The root is on fret five rather than three. This means you can barre it from the root up to string four, using just one finger. This creates a thick sounding chord which works well with both D and D/C# as well as D and A/E. G chord chorus – During the chorus, the G chord looks more like an open position G. Mute the 5th string, root on fret five, string six. 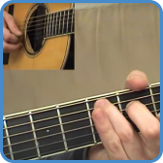 Get the whole picture of how to play ‘1234’ in the intermediate course.